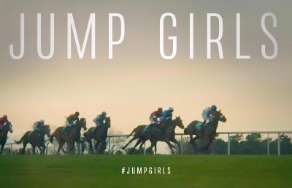 Touchline Media’s ‘Jump Girls’, an observational 100-minute documentary in association with Horse Racing Ireland (HRI), airs on ITV4 on Saturday, March 16 at 10:30am. The doc will feature immediately after ITV Racing's Opening Show and will also be available to view on the ITV Hub for 30 days. ‘Jump Girls’ provides unique access to the key women at the top of National Hunt racing in Ireland - trainer Jessica Harrington and her daughters Kate and Emma, and jockeys Rachael Blackmore, Katie Walsh, Lisa O'Neill, Katie O'Farrell. There are also contributions from Nina Carberry, Lizzie Kelly and Bryony Frost. This observational documentary follows these remarkable sportswomen throughout the 2017/2018 and 2018/2019 jumps seasons and provides us with a glimpse into the physical and mental lengths they go to for their profession. There were a number of landmark moments for women in National Hunt racing during the making of Jump Girls. Rachael Blackmore became the first woman ever to lead the Irish Jockeys Championship and also the first woman rider ever to win three races on the same day. At the 2018 Cheltenham Festival, female jockeys won four races for the first time in festival history, while three women rode in the 2018 Aintree Grand National. ‘Jump Girls’ was funded by the Broadcasting Authority of Ireland (BAI) and TG4 (Irish public service broadcaster for Irish-language speakers) and is directed by Luke McManus and produced by Touchline Media, the same creative team behind the IFTA-winning 'Arkle - The Legend Lives On' in 2015 and IFTA-nominated 'Jump Boys' in 2012. "Jump Girls provides exceptional access to some of the brilliant women in Irish jumps racing and gives sports fans a sense of their extraordinary skill and affinity with horses and their unique combination of mental and physical courage. We are excited to work with Touchline Media and ITV to create an English language version to allow us to amplify the wonderful story of Jump Girls to a much wider audience." "This is a golden era for women in National Hunt racing and we were very fortunate as film makers to be able to chronicle these exceptional times. We would like to thank everyone who took part in our documentary and for having faith in us to record the highs and lows of their lives in jumps racing." "In a time when women's sport is finally taking its rightful place in the public imagination, Jump Girls tells the story of some of the bravest and most successful female sportswomen in the country. There are very few sports where men and women compete on an equal footing so National Hunt racing should be applauded for offering an arena where men and women can compete on an equal basis." Luke McManus’ 'Jump Girls' airs this Saturday, March 16th on ITV4 at 10:30am.